Currently in the care of Cliffe Castle Museum, Keighley. The chapel closed (believed to be in April 1970) and as far as we know the window was lost when the building was demolished. Great War plaque made from bronze or brass, with an incised inscription in black lettering. Not mounted on a board or in a frame. Names on memorial: 16 Died. 74 Served and returned. 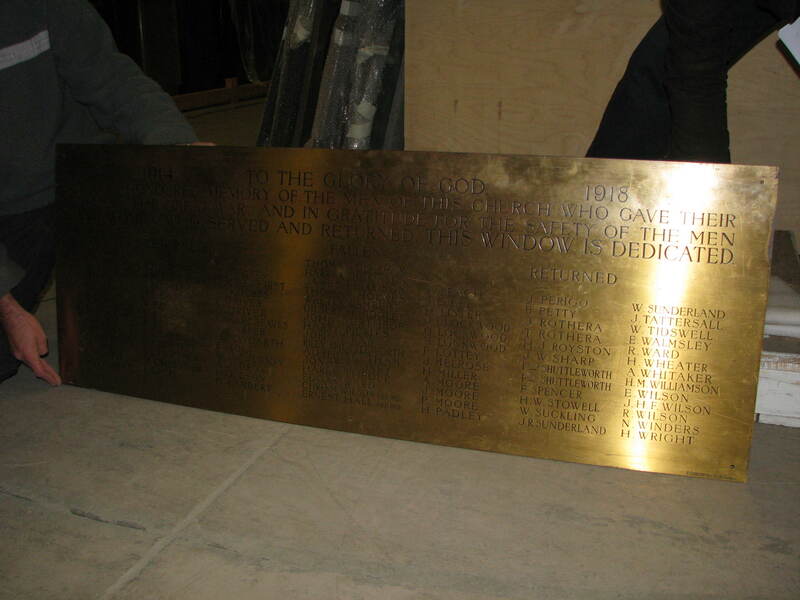 The unveiling ceremony was carried out on 24th April 1922 by local clergy and dignitaries. Keighley News report 9th September 1994. 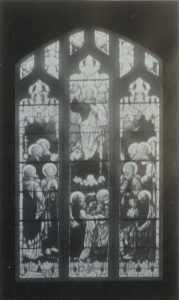 The associated memorial stained glass window is detailed below. Original location: in Lund Park Wesleyan Chapel (demolished), Malsis Road, Keighley. Physical Description: Stained glass window with figures depicted in it. The window depicts the ascent of our Lord with eleven apostles standing around him. Designed by H. J. Salisbury Ltd.
Report appears in the Keighley News of 29th April 1922. It commemorates the parishioners of this chapel who died in the Great War, and those who returned, and complemented the memorial board which listed the names of the men.